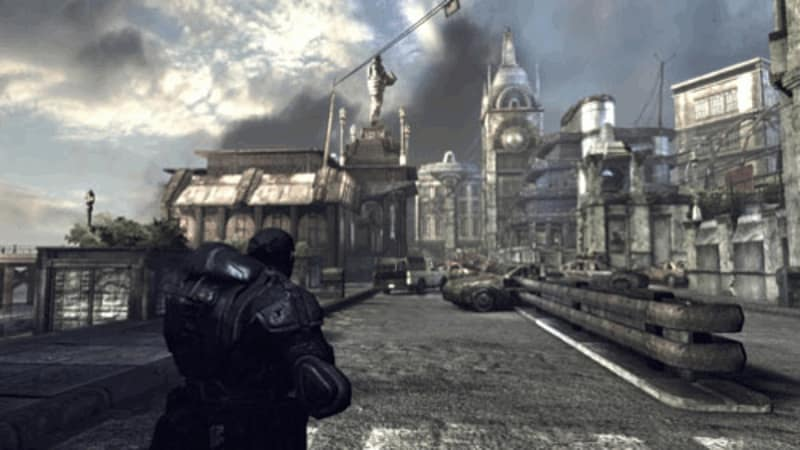 Exclusive to Xbox 360, Gears of War 2 sees players continue as Marcus Fenix, a reluctant war hero and leader of Delta Squad, six months after the events of Gears of War. Exclusive to Xbox 360, Gears of War 2 sees players continue as Marcus Fenix, a reluctant war hero and leader of Delta Squad, six months after the events of Gears of War. In Gears of War 2 the last cities on Sera are sinking, swallowed by a new Locust threat from below. A massive counterattack is humanity’s last hope for survival, making Gears of War 2 the bigger, better and more badass sequel that Gears of War fans have waited for! Unparalleled gameplay: Gears of War 2 takes the award-winning gameplay of the original and improves upon it in every way. The genre-defining cover system is further refined in Gears of War 2, making the stop-and-pop gameplay more intuitive. Dynamic cover is given new meaning in Gears of War 2 as downed opponents can be picked up and used as shields. The intimate violence of the battlefield is heightened when combatants engage in chainsaw duels. Destructible environments and vicious new finishing moves also add to the over-the-top Gears of War 2 experience. 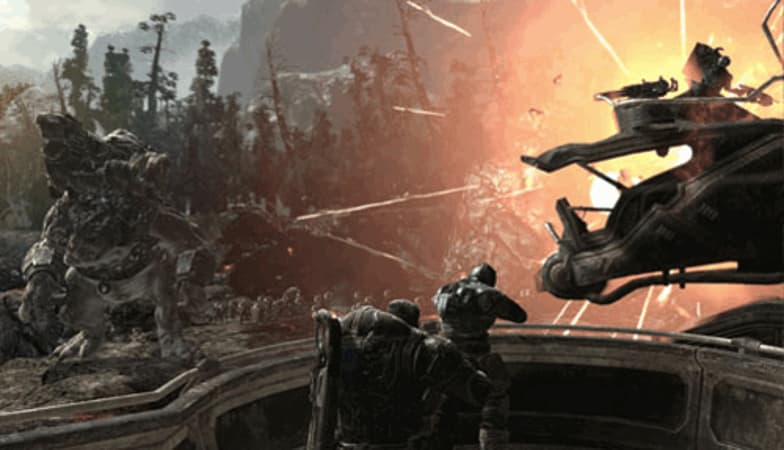 Jaw-dropping visuals: Gears of War 2 on Xbox 360 continues to raise the graphics bar through its breathtaking visual effects, made possible through advances in Unreal Engine 3. Engaging experience: Gears of War 2 on Xbox 360 pulls you in and won’t let go, with deep and immersive storytelling that sees players connect with humanity’s battle for survival on a personal level. 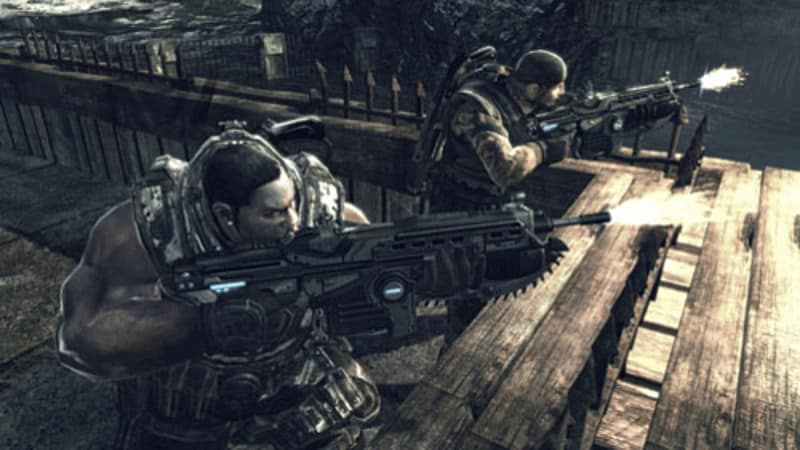 In Gears of War 2, players move through a story that introduces new characters and sheds light on the histories of familiar ones. Expanded cooperative play: Team up with a friend to fight through the harrowing story of Delta Squad in Gears of War 2's enhanced campaign mode, now featuring drop-in/drop-out gameplay, as well as individual player difficulty options. Or recruit four friends to battle in Gears of War 2's new mode Horde, where you’ll fight together to fend off a seemingly endless onslaught of Locust forces to attain the highest score! 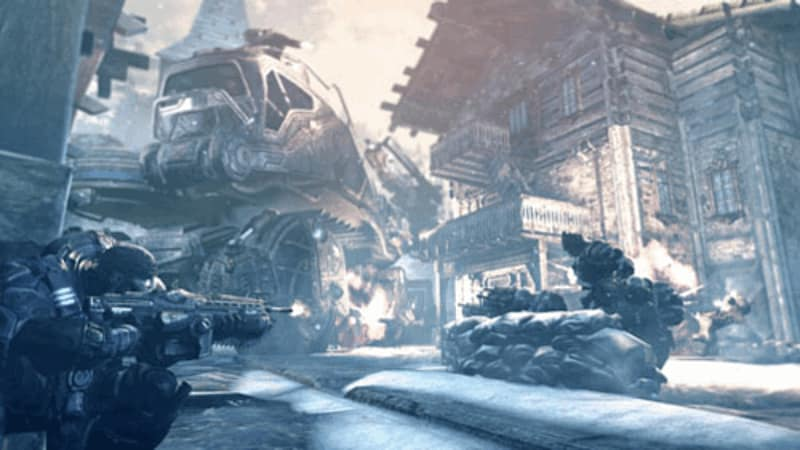 Fierce and varied competitive multiplayer: Gears of War 2 features eight distinct multiplayer modes, including the new Wingman, Guardian and Submission modes, where up to 10 Gears 2 players choose a side and pit their courage and battlefield mettle directly against others. In addition, multiplayer bots are a new addition for Gears of War 2 designed to sharpen your skills offline or to fill out your online private matches on Xbox LIVE. Party system and skill-based online matchmaking: New to Gears of War 2 is a party system that allows players to form a full or partial team with friends and continue together from match to match without the need to reform after each game. 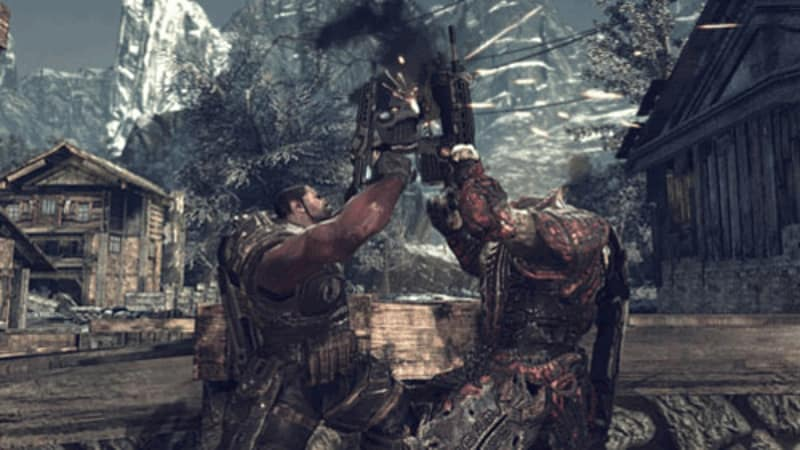 Gears of War 2 also supports a skill-based online matchmaking system, powered by TrueSkill, which groups Gears of War 2 players of similar skill level together in competitive Xbox Live multiplayer matches.